Call me naïve, but I believe this puts us one step closer to an anti bipolar pill, even though Scientists don’t view bipolar disorder as being just one gene. Prof. Dr. Markus M. Nothen, Director of the Institute of Human Genetics of the University of Bonn Hospital states,“There is no one gene that has a significant effect on the development of bipolar disorder. Many different genes are evidently involved and these genes work together with environmental factors in a complex way.” Very similar to the common cold, I guess. It’s hard to come up with one anti-cold pill because a cold or flu does not come from just one particular virus. This also likely has a lot to do with why different meds may work on some, but not others and vice-versa, yet, I remain enthusiastically optimistic. I must admit there is a part of me that is gloating at this moment. There’s a part of me that wants to get a copy of the study and hold it under the noses of those who attempt to discredit bipolar. I don’t want to hear comments anymore like “There’s no scientific evidence that bipolar is the result of a chemical imbalance,” or, “It’s all in your head, you need to just pick yourself up and go and decide to be happy.” I’m sure most of them mean well, but I don’t give much time or energy to armchair psychiatrists. 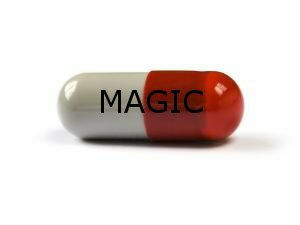 Magic pill or not, the results of this study makes me feel vindicated already. The contributions of individual genes are so minor that they normally cannot be identified in the ‘background noise’ of genetic differences, Only when the DNA from very large numbers of patients with bipolar disorder are compared to the genetic material from an equally large number of healthy persons can differences be confirmed statistically. I’ve brought up the concept of the bipolar pill before and asked my readers if they would take it or not if it became reality. Some said yes, some said no. I’ve gone back and forth on this. I was concerned that taking away my disorder would take away much of who I am, but I’m hesitant no more. I’m now at a point that I’d say, “Oh, hell yes!” The biggest fear I’d have to get over, however, is not the fear of losing myself, but the fear of losing my creativity. A topic I’ll be covering later this week. Kat, I think it’s time for mental health being given the same respect as physical health. I feel this study brings one big step forward.